Supply normal, prices stable, watching the sky. Home > Sheep > Supply normal, prices stable, watching the sky. 07 Feb Supply normal, prices stable, watching the sky. After a significant spike to throughput for sheep and lamb at the start of January yardings figures have returned back within the normal seasonal range, combined with cool temperatures and a bit rain, prices have managed to hold firm for most categories of sheep and lamb this week. The ESTLI barely changed, rising a slight 4¢ on the week to close at 637¢/kg cwt, similarly National mutton gained 4¢ to close at 407¢/kg. Table 1 highlights the Eastern States closing prices yesterday for a range of lamb and sheep categories with all but Merino lamb posting an increase. 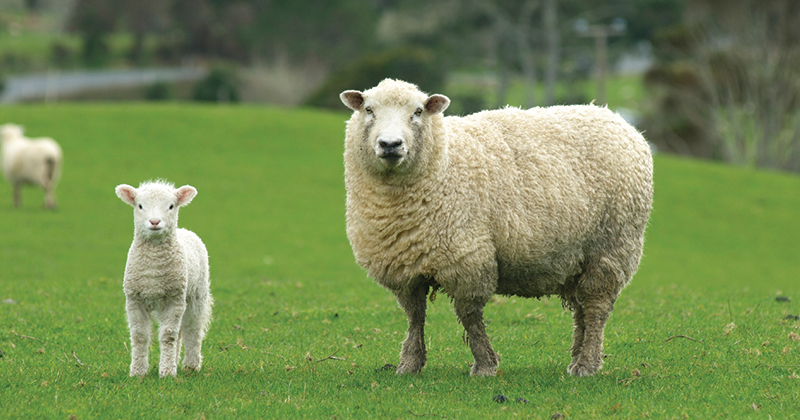 East coast Restocker lambs staged a late rally jumping 30¢ yesterday to close the week up 9.7%, the best performer in the group. East coast Merino lamb the laggard, but only off 5¢ to register a 0.8% decline. A bit of a tussle between Victorian and NSW Merino prices this week, with Victorian Merino back above 600¢ after a 9.5% gain while NSW lost 4.3% to close at 582¢/kg cwt. In the West Trade Lambs the strongest category this week up 2.8% to 627¢, but still 10¢ shy of the ESTLI. Figure 1 demonstrating that East coast lamb throughput has returned to more normal ranges, albeit it 27% above the seasonal average for this time in the year with just over 173,000 head yarded. A similar pattern displayed this week by East coast sheep with yarding levels sitting 20% above the seasonal average, but also within the 70% range, with around 70,000 head changing hands at the sale yard. East coast lamb slaughter showing no signs of capacity issued despite the TFI disaster at Murray Bridge. SA lamb slaughter trekking well below average for this time of the season and sitting 38% under the seasonal average, understandably. However, some of the supply being taken up by Victorian and NSW meat works with the total East coast lamb slaughter running just 16% under the seasonal average – figure 2. A mixed bag for forecast rainfall into next week with the Western sheep rearing regions getting some good falls but most of the South-east missing out. However, BOM modelling for February shows a good chance of above average rain over the whole month for the South East and a very high change for continued rain in the West which is likely to provide further pricing support into the coming few weeks.